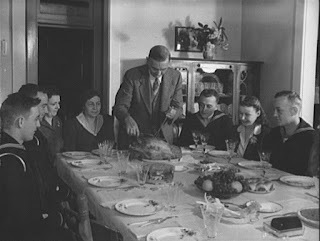 We here at the SSS wish you and yours a very Happy Thanksgiving, and a very safe holiday season. This November 1942 image from the Library of Congress shows a family in Silver Spring, Maryland beginning their holiday feast. With the start of the holidays, I will be reducing SSS operations for a week or so. Full posting will resume on Monday, December 7. Happy Thanksgiving! The playlist for the November 25, 2015 broadcast of the Swing Shift Shuffle has now been added to the playlist filing cabinet. Inspired by a 1929 trip to the International Exposition in Barcelona, William Sparks, a Jackson, Michigan businessman, built The Cascades in 1931. As RetroRoadmap notes, the Art Deco spectacle has been a continual source of entertainment since it opened in 1932. This morning's Sunrise Serenade was "I'll Be Around" by the Mills Brothers. Click on the song title to listen courtesy of Jazz On Line. The Red Hot Lindy Hop lesson and session will take a break this Friday night, as the Rumba Room will be closed for Thanksgiving. Sessions will start up again December 4. The University of Memphis RHLH chapter hosts a free beginner swing dance lesson every Monday (except school holidays) in Room 254 of the Roane Field House. 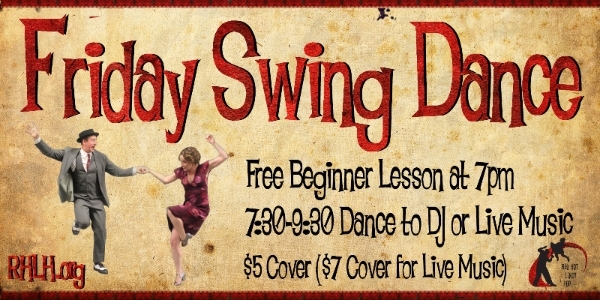 Beginner lesson from 7:00-8:00 p.m., and social dancing and practice until 9:30. More information here. Today's Sunrise Serenade was "The Masquerade Is Over" by Jimmy Dorsey and His Orchestra with Bob Eberly on vocals. Click on the song title to listen courtesy of Jazz On Line. Driving around the world, in itself, is a significant challenge. Now imagine doing it at age 78. Not impressed? Now imagine doing it at age 78 in a 1930 Hudson. That is exactly what Heidi Hetzer, a 78 year old former car dealer, rally driver and car collector from Berlin, Germany is doing as we speak. The Hemmings blog pointed me to this story, in which Heidi has lost two fingers working on her car during the journey. Undaunted, she continues her trip. Follow her adventures at heidi-around-the-world.com. This morning's Sunrise Serenade was "I Found My Yellow Basket" by Ella Fitzgerald with Chick Webb and His Orchestra. Click on the song title to listen courtesy of Jazz On Line. This morning's Sunrise Serenade was "Chloe" by Valaida Snow. Click on the song title to listen courtesy of Jazz On Line. Back in World War II, conserving resources and recycling was a big deal. Rubber, paper and metal were all in high demand for recycling into products for the war effort. The National World War II Museum posted this item about another highly sought after household product at the time: bacon grease. Fat from meats was recycled into explosives, so people saved their waste fat, put it in a can, and sent to make munitions. Today's Sunrise Serenade was "American Patrol" by Glenn Miller and his Orchestra. Click on the song title to listen courtesy of Jazz On Line. The playlist for the November 18, 2015 broadcast of the Swing Shift Shuffle has now been added to the playlist filing cabinet. I do not remember ever posting an actual Shadow comic book before, so here you go. Pappy's Golden Age Comics Blogzine posted this issue from 1942. As Pappy's noted, the "Fan" in the title actually refers to an electric fan, not a "fanatic" or enthusiast. The "Goona Goona" is the name of the nightclub. Curious about the name, I did a little research. 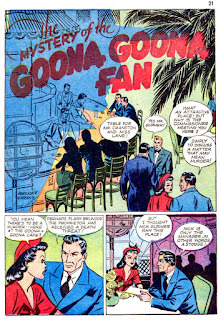 It seems the term "goona goona" was a Hollywood phrase meaning a certain type of movie. Specifically, it was a film set in remote parts of the Far East, Southeast Asia, South Pacific, Africa or South America, usually involving stock footage scenes of natives supposedly engaged in exotic rituals. The words came from the title of such a film released in 1932, Goona-Goona, An Authentic Melodrama of the Island of Bali. This morning's Sunrise Serenade was "Route 66" by the Nat King Cole Trio. Click on the song title to listen courtesy of Jazz On Line. 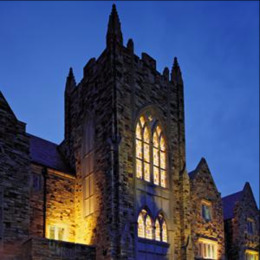 Swing with the Rhodes College Jazz Band on campus at the BCLC Ballroom Thursday at 7:00 p.m. Admission is free. 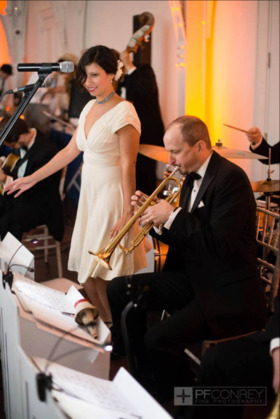 The Red Hot Lindy Hop lesson and session will have live music this Friday at the Rumba Room with the Jeremy Shrader Quartet featuring Michelle Shrader. Free beginner lesson at 7:00 p.m. Admission is $7. Lesson by Ceasar and Jeska with band break music by DJ Jeska. Today's Sunrise Serenade was "It's Only A Paper Moon" by Ella Fitzgerald with the Delta Rhythm Boys. Click on the song title to listen courtesy of Jazz On Line. Now that the holiday season is essentially upon us, here is a reminder about The Majestic Grille's annual holiday "Sunday Supper & A Movie" series. You can enjoy a dinner and your favorite holiday classic films starting on November 29 with Miracle On 34th Street. On December 6, Holiday Inn will be the featured film, and the series will wind up with It's A Wonderful Life on December 20. Seating starts at 6:00 p.m., with the films starting at 6:30 p.m. Reservations required. This morning's Sunrise Serenade has been running through my head since Friday night, undoubtedly for the same reason it has been running through the minds (and social media) of so many others all over the world. From YouTube, here is "La Marseillaise," from the 1942 film, Casablanca. Musical genres and animal species clash in this 1949 Paramount Pictures short, last posted here in 2013. From the Internet Archive here is Hepcat Symphony. This morning's Sunrise Serenade was "Harlem On Parade" by Gene Krupa and His Orchestra featuring Anita O'Day on vocals. Click on the song title to listen courtesy of Jazz On Line. This post on Vintage Ads shows that, on some issues at least, the past can look like a Bizarro-World to us. Today, tampering with the lavatories on a commercial airline flight so you can have a smoke is a federal offense. 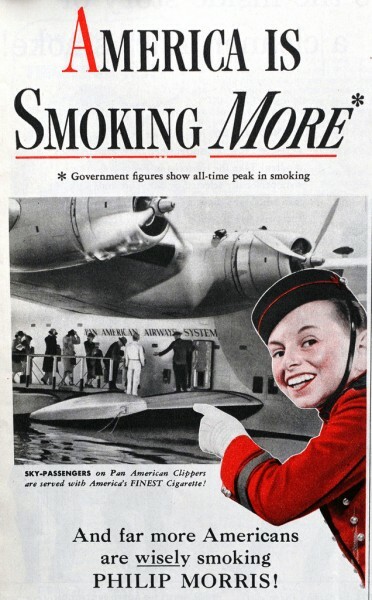 Back when this ad came out, the airlines passed out cigarettes to their passengers. Today's Sunrise Serenade was: "The General Jumped At Dawn" by the Golden Gate Quartet. Enjoy the video from YouTube. The playlist for the November 11, 2015 broadcast of the Swing Shift Shuffle - Fall Pledge Drive Veterans Day Special - has now been added to the playlist filing cabinet.